Soon i'll renew my main electical panel, 200amp. The electician suggest me to put a surge protection module on main distribution panel. (Seimens i don't know model number). This has the advantage to protect the entire house. These module has a protection capacity of 1600 joules this is an option of 300-400$ range. Does some of you already have it ? What are de pro's & cons of it vs small unit like: Monster power HTS 1600, 1800...HDP..2500 ? my first mind is: main units give a fair protection (1600 joules) to entire house, vs a better protection (5000-6000 joules) for only specific electrical equipment on the house. I'm living in Quebec, where the power utility is stable. I've been meaning to install a whole house surge protection, but just never got around to it yet. 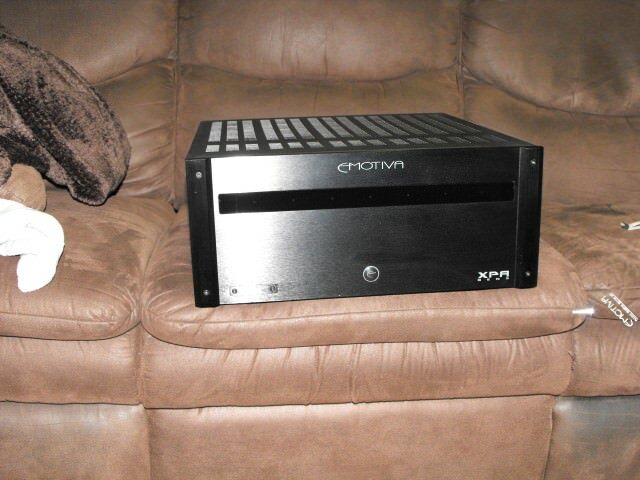 I do have a battery backup unit protecting my computer and my home theater system (except subwoofer). Whole house surge protection is the way to go. These are the type of surge protectors that actually work. If a surge is coming from the outside power line the whole house surge protector acts as a path of least resistance. Instead of the surge coming into your home to seek ground in an appliance or electronic device (subwoofer, computer etc), it shunts the surge to your homes outside earth ground, harmlessly. Whole house surge protection follows electrical theory and building/electrical code. The plug-in surge protectors like the monster are pretty much useless. They don't work. The specs are meaningless on plug-in protectors as well. Remember that part of the "protection" (really the whole point) of whole-house surge protectors is that it is connected to a single point earth ground. Your homes ground rods and distance from the panel is critical. Hmmm. I always wondered about adding something like this. We have a main 200amp (I believe) breaker panel in the garage that has another 100amp panel off of that that goes to the basement. We have whole-house protection on our panel. We had it put on when we rewired the whole house upon purchase. It previously had a 30 amp knob and tube wiring. I still use surge protectors because of the value of what I have plugged in, but I like having that "first line of defense". Plug in surge protectors is like wearing a condom with a hole in it. What is odd is that a number of web sites say that you should do both, use the whole house surge protector AND a surge protector at the outlet for any critical equipment. That makes no sense to me. If you have a whole house one that "catches" a surge before it hits your outlets, then I am not sure what those are doing short of making sure that one component on that surge protector doesn't go nuts and surge power back to the other components in that surge protector. Never heard of that, or at least it can't happen enough to be a real concern if you ask me. Then again, I am not an electrician or electrical scientist. There must be some reason for both whole house and plug-in type. It does sound like a "Surge Strip" does almost nothing for protection on its own and needs the whole house protection to be effective. Now I still wonder if the $70 whole home unit I linked actually works or not, or if you need one of the "$200" units. doubled up. I truly believe that with what a guys spends on electronics this surely can not hurt anything, though I recommend having an electrician over. I don't know how inline surge protectors work when lightening Is present, but suspect its not as good as the whole home option. We have a lot of brownouts here, critters and such getting into transformers. We had 3 yesterday alone, had to reset all clocks each time, bah. Thanks for reminding me to get hold of my electrician, he was suppose to do this months ago. Surges from lighting strikes, downed power lines need to be addressed and are definitely destructive if they seek ground in your home. It will overburden the internal protection as well as point of use surge protectors. The internal noise within your home and the minor excess current that could generate within your home is not destructive. This is what the internal power conditioning and protection that is already built into every one of your appliances and electronic devices is for. Plug-in surge protectors are nothing more than a glorified multiple electrical outlet. The vendor web sites and "electrician" forums that came up in the google search say otherwise and encourage the use of internal sure protectors as well as the whole house. They don't sell surge protector strips, so they aren't making any money with that statement. They still say that the whole house is MUCH, MUCH, MUCH more important though. The video I linked above talks a little about using both types of surge protection near the end of it. That mirrors what other information I found. You are right though. Most people buy a "power strip" thinking that it is a "surge protector" and those are completely different and the price reflects that.